Home » Events » Feel Good February 5k Fun Run Registration is now open! Feel Good February 5k Fun Run Registration is now open! Attention prospective members, new members and long-time members! 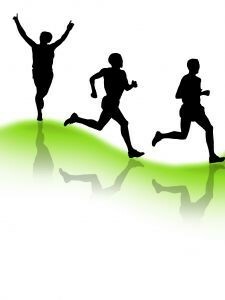 Kalamazoo Area Runners is pleased to host the Feel Good February 5k Fun Run on Monday, February 3, 2014 at 6:00pm at the Gazelle Sports (Late registration and check in from 5:30 – 6:00 pm). This is a casual fun run and social event sponsored by the Kalamazoo Area Runners and will follow a course throughout downtown Kalamazoo. Refreshments and door prizes immediately following at Gazelle Sports. Participants are welcome to stay for the KAR Board Meeting beginning at 7:30 pm. Registration is required. For more information contact Nikki Gates at nikki.gates@kalamazooarearunners.org or Karen Christensen at karen.christensen@kalamazooarearunners.org. VOLUNTEERS NEEDED: We need a few volunteers for set up and registration from 5:15 – 6:15 pm as well as tear down from 7:15 – 7:30pm. Please contact Nikki Gates at nikki.gates@kalamazooarearunners.org or Karen Christensen at karen.christensen@kalamazooarearunners.org if you can help out.